Peace Corps Online: February 26, 2005: Headlines: Giants: Obituaries: Staff: History: Writing - Staff: Washington Post: Peace Corps Staffer Coates Redmon Dies, was author of "Come as you are"
February 26, 2005: Headlines: Giants: Obituaries: Staff: History: Writing - Staff: Washington Post: Peace Corps Staffer Coates Redmon Dies, was author of "Come as you are"
Peace Corps Online: Peace Corps News: Peace Corps Library: History of the Peace Corps: January 23, 2005: Index: PCOL Exclusive: History of the Peace Corps : February 26, 2005: Headlines: Giants: Obituaries: Staff: History: Writing - Staff: Washington Post: Peace Corps Staffer Coates Redmon Dies, was author of "Come as you are"
Peace Corps Staffer Coates Redmon Dies, was author of "Come as you are"
Coates Douglas Redmon, 73, a speechwriter for first lady Rosalynn Carter and author of a book about the Peace Corps, died Feb. 22 at George Washington Hospital of complications from pneumonia. In 1962, the witty and irreverent Mrs. Redmon was living in Colorado Springs while her husband taught at the nearby U.S. Air Force Academy. She was not happy. "I was a liberal Democrat among a bunch of right-wing Republicans and warriors," she told Washington Post writer Elisabeth Bumiller in a 1983 profile. When her husband was transferred to Washington, she was able to move to the city of her dreams. She had heard Democratic presidential candidate John F. Kennedy propose the Peace Corps in a speech at San Francisco's Cow Palace on Nov. 2, 1960, and from that day forward, she wanted to join. When the Redmons got to Washington, they drove to a house in Georgetown, where a cousin of Mrs. Redmon's lived. The cousin happened to have a roommate who happened to have an uncle who happened to live in the Georgetown house that Kennedy and his sister Eunice had shared while he was a congressman. "And so," Mrs. Redmon told Bumiller, "totally smitten with the New Frontier as we were, and I do mean totally, we went over there, and people were in the back yard playing touch football. And honestly, we thought we had died and gone to heaven. People were playing touch football in back yards everywhere! It was a mania. Everybody wanted to be just like the Kennedys. Touch was it." Mrs. Redmon eventually wrangled a job at the Peace Corps, helping write annual reports and presentations to Congress. She and her friends thought they had the best jobs in town, and they looked down on their peers in the rest of government, particularly in the State Department. "They thought we were totally obnoxious," she said in the Post profile. "Well, we were. We knew it at the time, but we were arrogant anyway. . . . We believed we were going to save the world, and that our wonderful volunteers would show the Third World how horrible the communists were." Mrs. Redmon was born in Danville, Va., and grew up in Scarsdale, N.Y. She attended Salem College in Winston-Salem, N.C., and Parsons School of Design. She left school without graduating to take a job as features editor at Glamour magazine, beginning in 1953. 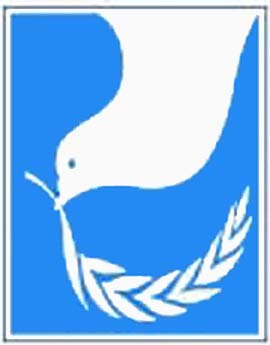 She was at the Peace Corps from 1963 to 1967. 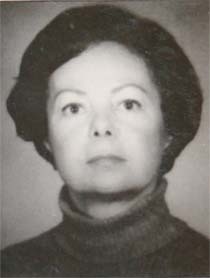 From 1967 to 1969, she lived in Boston, where she was fellowship chairman for the Institute of Politics at Harvard's John F. Kennedy School of Government. From 1972 to 1974, she was a writer and producer for Children's Television Workshop. Mrs. Redmon came back to Washington in 1975 to write speeches for U.S. Sen. Charles Percy (R-Ill.), and then, in 1977, for Carter. She left the White House after a year, amid rumors of her displeasure over pay-scale disparities between the West Wing (the president's office) and the East Wing (the first lady's). She was a freelance book reviewer for the Post in 1978-79 and executive director of the Robert F. Kennedy Journalism Awards and Robert F. Kennedy Book Award from 1979 to 1984. 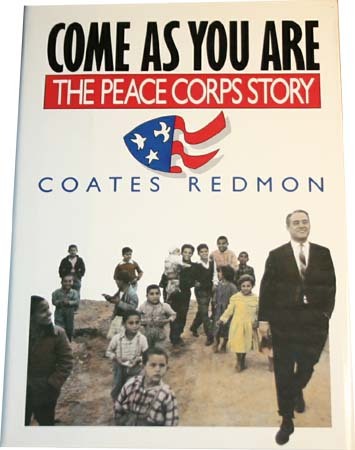 Her book about the Peace Corps, "Come as You Are: The Peace Corps Story," was published in 1986. Post reviewer Joanne Omang called the book "a delicious yarn and probably the definitive inside scoop of how the Peace Corps got going." 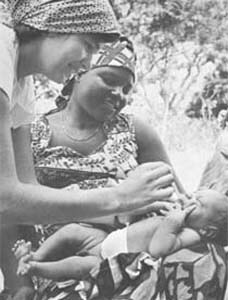 "The Peace Corps was the first love," Mrs. Redmon told The Post in 1983. "I knew, and everyone knew, that we would never again have as much fun in our lives." In recent years, she lectured at elder hostels on the subject of presidents' mothers and wrote feature articles for Georgetown and Country newspaper. Her husband, Evan Hayes Redmon, died in 1973. Survivors include two children, Evan Redmon of Washington and Skipwith Banker of Guilford, Conn.; a brother; and two granddaughters.